Jewelry tumblers are a great way to get your jewelry back to the way it looked when you first laid eyes on it. 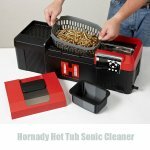 These machines work by rotating a small canister or “tumbler” filled with small pellets that gently polish your jewelry. 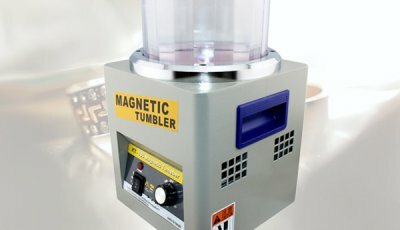 We compile a list of top rated tumbler and polisher on Amazon and give a brief review of each model. We aim to help users choose their best jewelry tumbler and polisher without hassle. 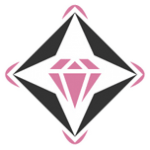 Tumbling is one of the easiest and most effective ways to get your jewelry looking its best. Here, we will go over some of the best jewelry tumblers. 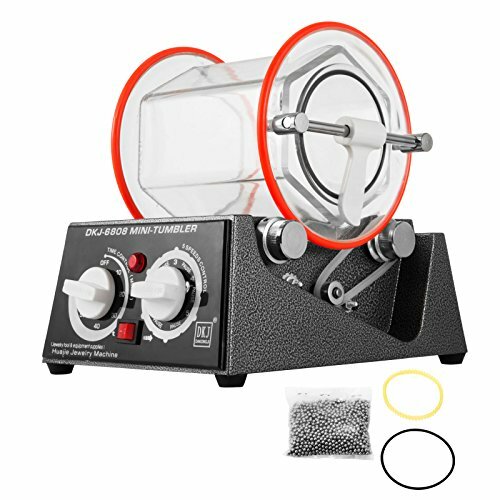 This jewelry tumbler is a professional quality machine that is perfect for polishing brass, stones, beads and glass jewelry. It features a 12 lb. 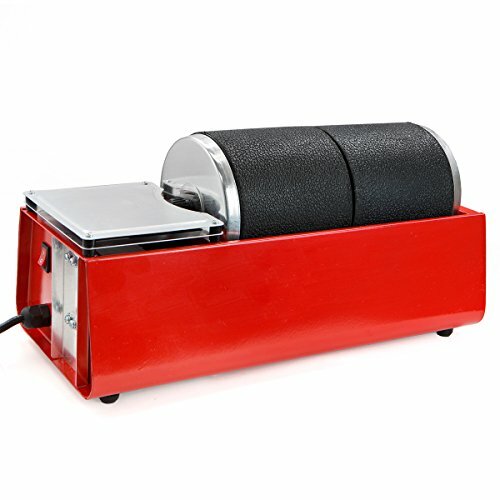 capacity and has a 10-sided molded rubber barrel that easily grinds and polishes in one step. The tumbler uses a powerful motor to rotate the tumbler and its double barrel designed allows you to use an abrasive on one side and a polish on the other. It also features an all-steel body that is both solid and durable. The drive belt is cover by a shiny-looking stainless steel cover. Whether you’re simply polishing jewelry or deburring metals, this tumbler makes a perfect addition to any hobbyist’s arsenal. 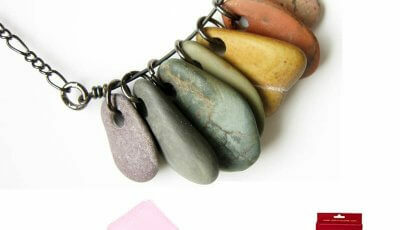 It’s great for polishing rocks, castings, glass, beads and almost any other types of jewelry. The tumbler is even backed by a 1-year limited warranty. 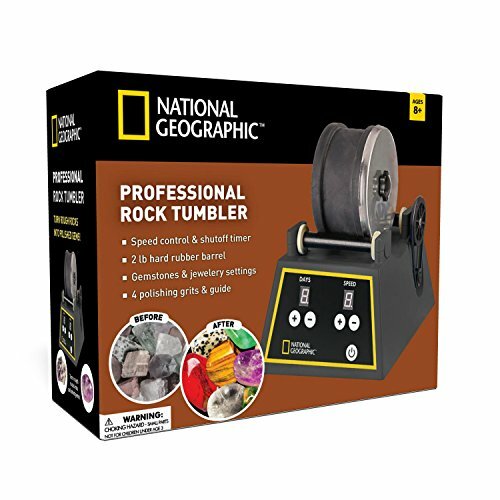 This professional rock tumbler can be used to turn regular rocks into stunning, polished gems. 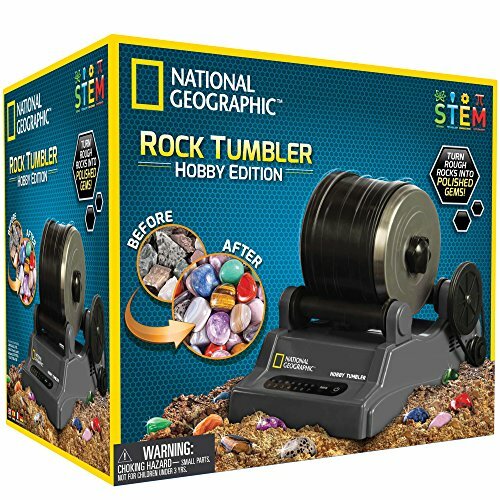 The tumbler comes with a complete hobby kit which includes the tumbler, 1 lb of rough gems, four different polishing grits, an information guide and instructions for use. 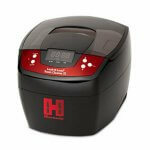 Also, this tumbler features a variable speed control and a shut off timer for better results. National Geographic is a trusted name and their tumbler comes back by a 100% satisfaction guarantee and is even backed by a 2-year warranty. This jewelry tumbler is designed for polishing the smallest and most intricate details of your jewelry. 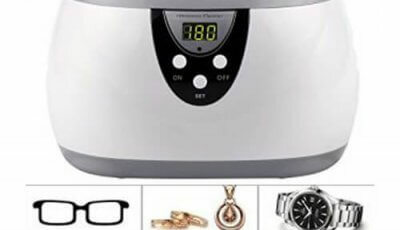 It features multiple speed settings and a timer to make polishing your jewelry as easy as can be. The tumbler uses tiny steel pins that are driven by powerful magnets to polish tiny crevices. However, Happybuy’s tumbler is not meant for polishing flat surfaces. One benefit of this tumbler is that it can be used to polish some jewelry with stones such as rubies, diamonds, cubic zirconia, and sapphires. This is a highly versatile tumbler that has adjustable settings to meet all of your jewelry polishing needs. It is suitable for non-ferrous metals, light metals, hard plastics and other small parts or jewelry. 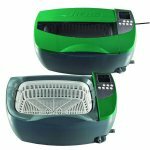 It is capable of completely most polishing jobs in less than 30 minutes and is simple and safe to use. This tumbler features two separate drums that both have a 3 lb. inner capacity. It has a 6.5-inch diameter barrel made of rubber for less noise during operation. 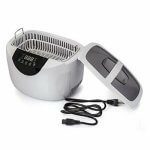 XtremepowerUS’ rotary tumbler uses a 120V motor and is perfect for all of your jewelry or stone polishing needs. For over 100 years, National Geographic has been committed to fun and fascinating ideas for kids of all ages. With this tumbler, you can easily turn plain old rocks into sparkling gems. No matter what type of rocks you tumble with it, it is guaranteed to make them look professionally polished every time. It is an easy to use tumbler that features a one-touch setting and an automated timer. The tumbler comes with everything that you need for your next project. This includes the tumbler itself, four different polishing grits, a learning guide and a sifter. And, as a special bonus, the tumbler even comes with 9 different types of rough gemstones to get your collection started. The tumbler is made of plastic and rubber and National Geographic stands behind their product with a two-year warranty. This is an innovative rotary tumbler that uses the principles of centrifugal motion. 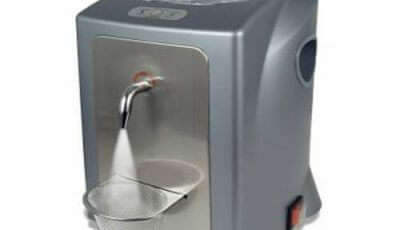 This increases the tumbler’s efficiency when polishing stones or jewelry and improves polishing by up to 5 to 10 times. The tumbler uses a multi-sided barrel that is made of a strong and durable polycarbonate material. It is both leak proof and will not rust or corrode over time. This polishing machine is designed to be used for small to medium-sized pieces of jewelry. And, it is excellent for use either in a studio or for smaller, at home jewelry projects. 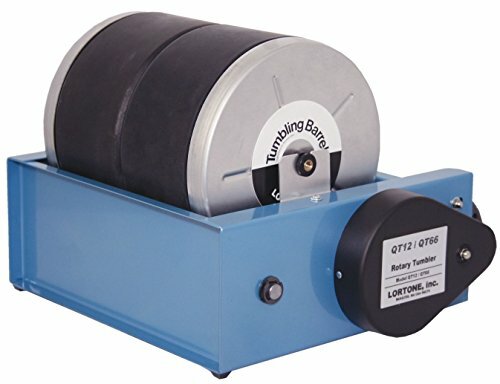 This tumbler has multiple uses and can be used for precision polishing, trimming, de-rusting, chamfering, rough finishing, removing dark spots or for fine grinding. BestEquip’s tumbler is perfect for almost any type of jewelry. It is perfectly safe to use on steel, copper, aluminum, iron or magnesium alloys. 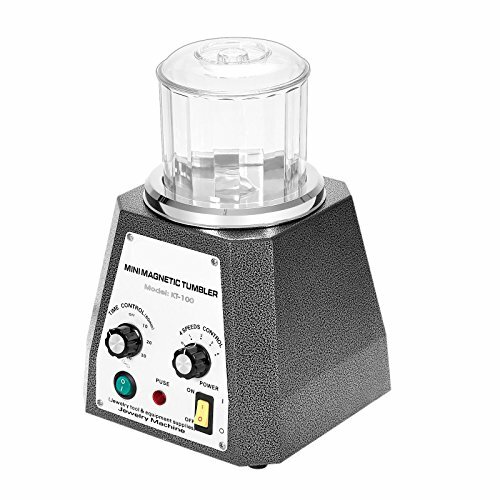 This is a 110V jewelry polisher that uses a glass tumbler barrel that is approximately 7.4″ x 7″. The tumbler features five separate speed adjustments and has an automatic timer that can be set between 10 and 60 minutes. 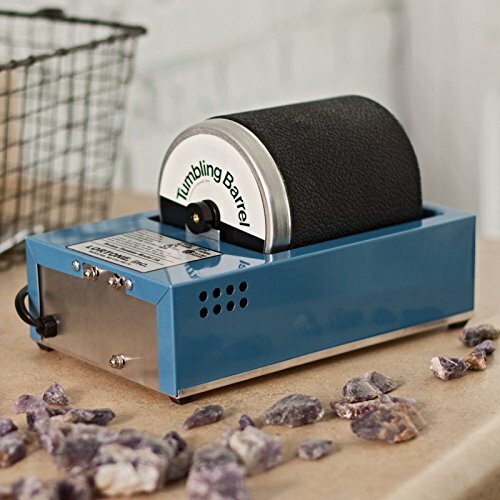 Superland’s tumbler is perfect for polishing jewelry, stones, rocks, cartridges, and coins. 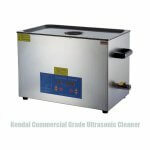 It can even be used to polish brass and other soft metals. This is a great tumbler for those who are just getting into the hobby. However, it also makes a perfect tool for experts. This is a versatile unit and is guaranteed to keep your stones or jewelry looking their finest. Tumbling your jewelry is a fairly easy and straightforward practice. In just a few easy steps, you will have your jewelry back to its original shine. Here’s how to use a jewelry tumbler. Step 1 – The first thing that you will want to do is to open up the tumbler’s barrel and to add the desired amount of stainless steel shot. The amount of shot needed will vary depending on the type of jewelry or polishing that you plan to do. 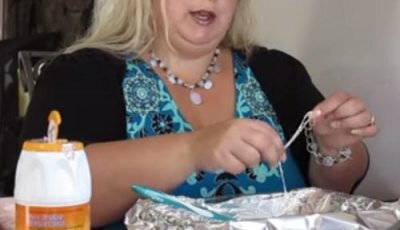 Step 2 – The next step is going to be to add your jewelry into the tumbler. Once the jewelry is inside, you are going to want to fill the barrel with just enough water to cover the jewelry and the shot. Then, add a few drops of dishwashing detergent or hand soap. You may also use a burnishing compound. However, make sure to dilute the solution and follow the manufacturer’s instructions. Also, make sure to not use any detergents that contain anti-bacterial agents. These additives often contain harsh chemicals that can cause damage to your jewelry or the tumbler itself. Step 3 – The final step is to close the barrel and then to tumble the jewelry. Typically, tumbler will complete the process in about 30 minutes. However, this can vary. It is a good idea to open the barrel and check the jewelry throughout the process. You may have to tumble your piece longer to achieve your desired look and finish. Once you are satisfied with the finish, all that is left to do is to clean up. You’re going to want to pour out the shot into a mesh strainer and give it a quick rinse. Then spread the shot out so that it can dry. Make sure the shot is completely dry before storing since any moisture could cause it to rust and this can cause damage to your jewelry. *Note – Before using a tumbler for the first time, it is a good idea to run some shot mix with some water and detergent to clean the inside of the barrel. As previously mentioned, polishing your jewelry with a tumbler is an easy and efficient method to get your jewelry back to its original shine. Here are a few helpful tips for using a jewelry tumbler. Never tumble more than one chain at a time. The chains will likely become tangled together and you will spend hours trying to untangle the knots. It’s ok to add other jewelry in with a chain as long as it will not tangle and become knotted. When using the same tumbler to polish rocks and jewelry, make sure that the canister is completely clean. If not, you risk scratching your pieces rather than cleaning and polishing them. Be careful when tumbling filled or plated jewelry (gold-filled or silver plated). The outer layer of the jewelry can easily be worn or chipped away. Never tumble jewelry that has stones set in it. The tumbler may cause the stones to become scratched or they could even become dislodged from their seat. In a pinch, you can use crushed up walnut shells or dry rice instead of shot. While this will not be quite as effective, it still should get your piece polished up a little bit. Just make sure to not use water since the rice of walnuts will absorb it. We also collected some of top rated jewelry polishing machines and give the best review for each model. If you are also searching for other types of jewelry polishers, just click through and find out what best jewelry polishing machines are.